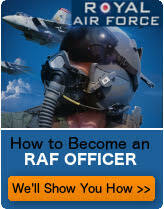 The RAF Officer and Aircrew Selection Centre (OASC) consists of a series of interviews, tasks, and aptitude tests. Various mental arithmetic tests are included that are designed to determine your suitability for your chosen role. Chief amongst these are the speed, distance, time tests which are designed to check if you have the mental capacity for keeping tabs on numerous, fast-moving, airborne objects. This website offers you timed tests, similar to those you will find at OASC, to help you prepare. Site for Army Officer Selection Board candidates! The test is 10 questions of varying difficulty. Some may appear too hard to do in your head, but don't worry. Have paper and pencil ready to help you at first - but NO calculator. Soon you will begin to notice patterns in the numbers and shortcuts you can take. Here's a hint - all the numbers, including the answer, are whole numbers. Make sure to remember the units you are working with - minutes, or hours? Miles per minute, or miles per hour? Try and guess-timate a 'ballpark' answer first, to check against the answer you calculate. Click the link below to start the test, typing your answers into the boxes provided. When you are done, click the button at the bottom of the test. This will show your results, and the right answers to any questions that you may have got wrong. Prepared? That's my middle name. 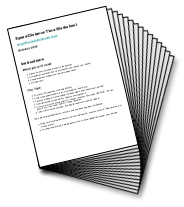 6 all new speed distance time worksheet/tests for the price of 3. 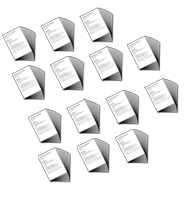 Printable PDFs, 90 pages, 900 questions, 5 hours worth of tests. Practice under test conditions until you can do them standing on your head. All of the tests. Every. Last. One. Don't be under-prepared when it comes to the test. 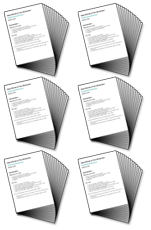 Printable, 15 page, 150 question, speed distance time worksheet/test. Perfect for practising under test conditions.